Sharp 2 BR 1.5 bath in convenient location of St. Peters with easy access to nearby shopping, restaurants & more. 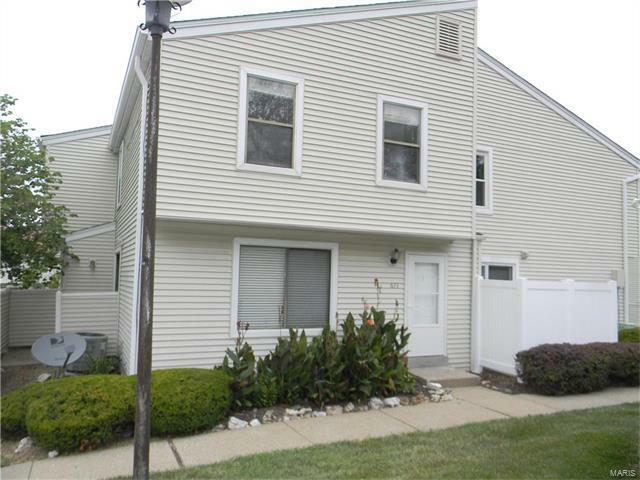 This nice townhome offers fresh interior paint, new carpet on main floor and finished lower level and updated baths with newer vanities. The kitchen features white cabinetry with newer black appliances including refrigerator. The stove is brand new, never been used! Nice partially finished lower level rec room plus an additional room for possible bedroom, playroom or exercise room. Enjoy the ground level patio for relaxing on cool summer evenings or having friends over for bar-b-q. Lots of space for the price! It's move-in ready! Come check it out before it's SOLD! I-70 to Salt Lick/Hwy 79 exit, south to right on Summer Winds to second parking lot on left, to townhouse on left.